Grab a copy of our Top 10 Gluten-Free Recipes! Mouthwatering gluten-free recipes for the whole family! 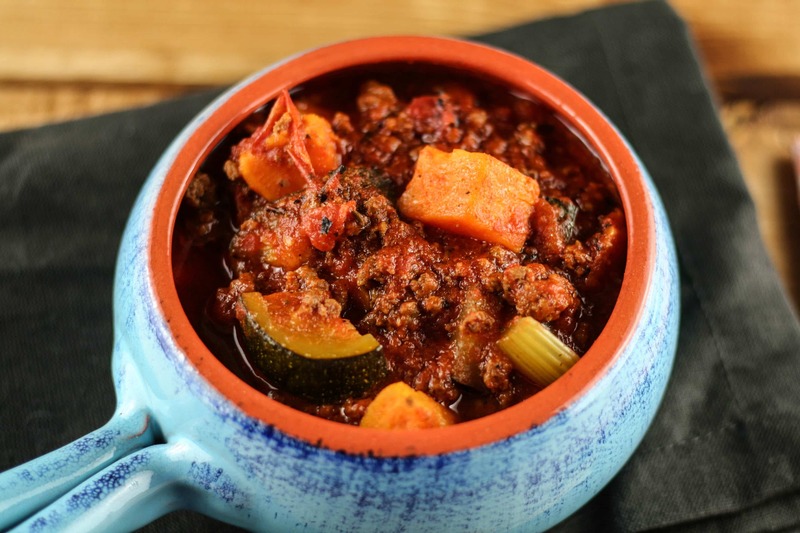 Making Paleo chili is like an experiment to me because I have so much fun adding various starchy and tuberous vegetables to replace beans or other legumes. 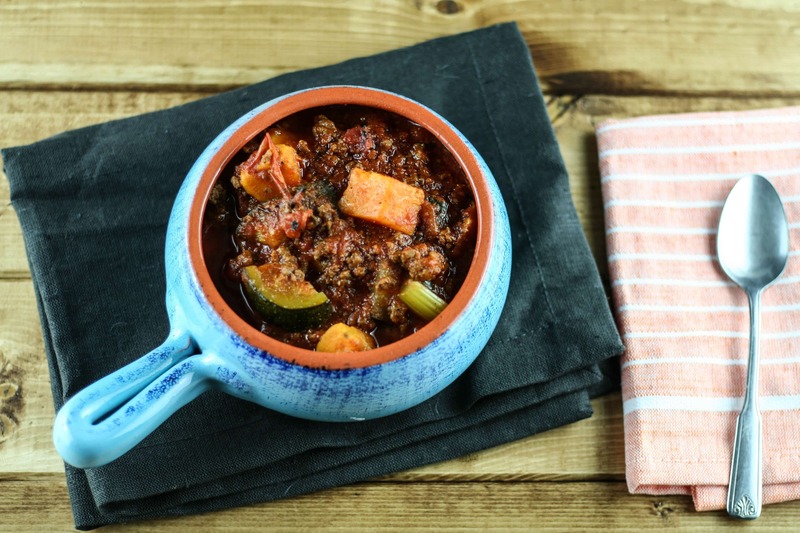 This chili is stocked full of good veggies including zucchini, celery, and sweet potatoes. You won’t even miss the beans! Even my kids devoured this chili, including my one son who would never eat chili until I made this one. Now he’ll eat it right up. 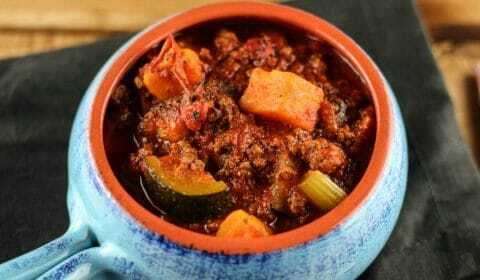 The best part about this chili is the fact that you can throw all of the ingredients into the crockpot in the morning and come home to dinner already done! There’s also no pre-packaged spices or mixes used in this chili so no weird words you can’t pronounce. You know exactly what you’re eating and feeding your family. Have fun with this, add in other starchy or tuberous vegetables, get creative and you’ll be amazed at the flavor. The level of spiciness is just right, too. It’s not too spicy, in fact, the heat only comes from the canned fire-roasted tomatoes. Like I mentioned before, once you cook the beef, add all the ingredients to the crockpot and you’ll have dinner ready as soon as you walk in the door. In a large skillet, brown beef and garlic. Drain off excess fat. Add browned beef plus all other ingredients to the crock pot and stir. Cook on low for 6-8 hours. for your weekly recipe fix.